PCQ, vol. 25, pgs. 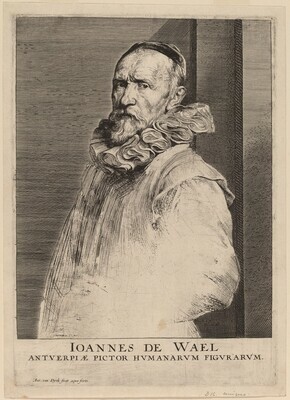 156-165. The New Hollstein Dutch & Flemish Etchings, Engravings and Woodcuts, 1450-1700. (Anthony van Dyck, Simon Turner, author). Rotterdam: Sound & Vision Interactive, 1996-, no. 15, state iii/vi.